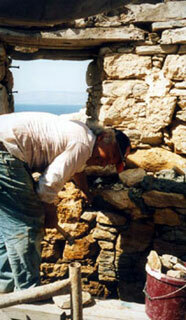 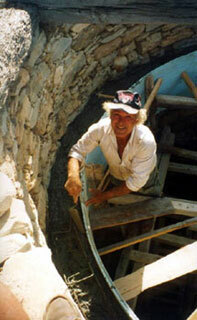 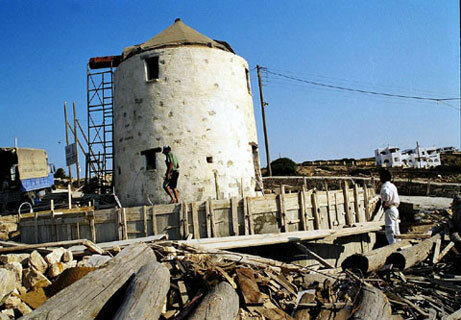 The windmill is property Evangelos Ch. 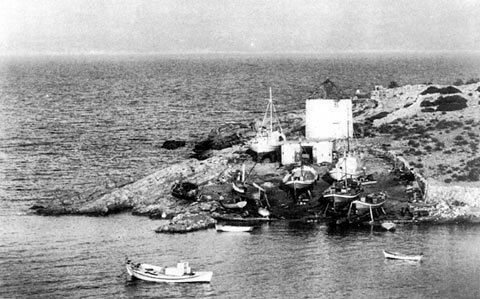 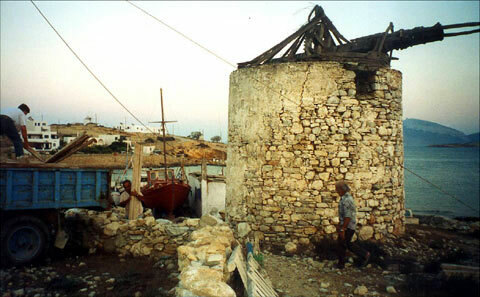 Vachliotis. 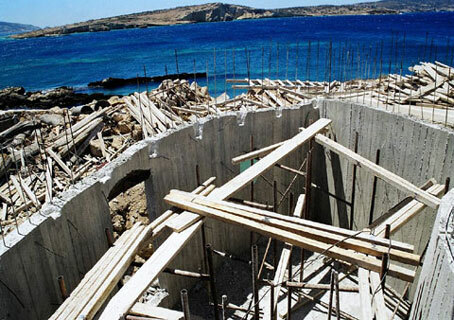 It is located on the southern coast of the Ano Koufonisi island in the location called Potamia of the Koufonisi community which is in the province of Naxos, in the prefecture of the Cyclades complex. 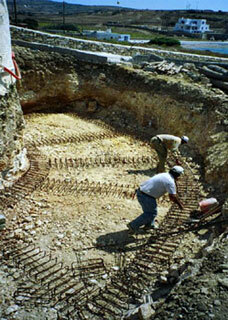 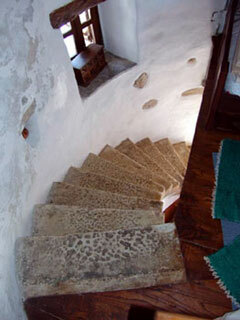 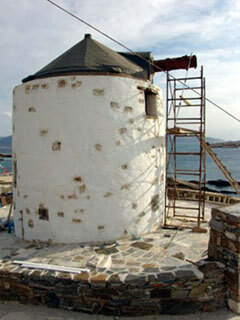 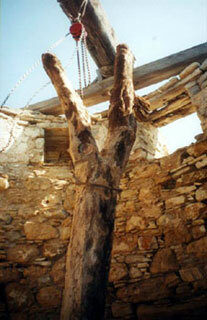 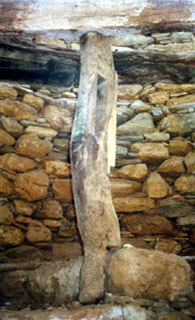 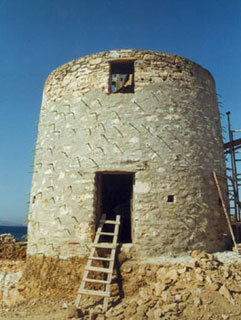 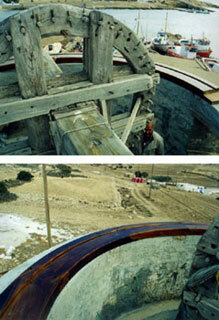 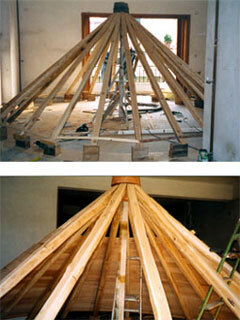 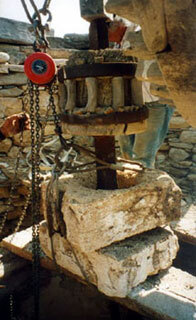 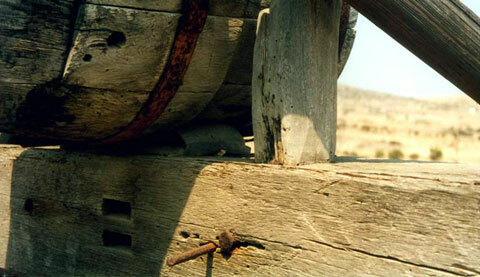 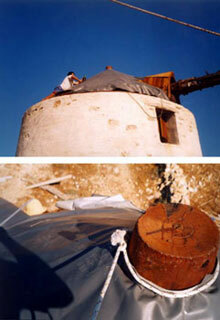 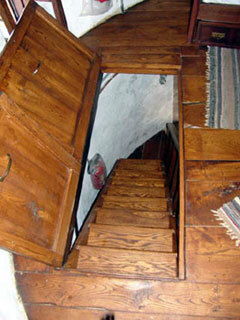 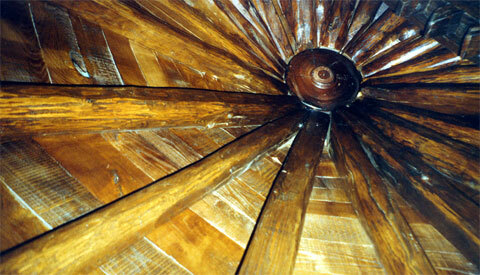 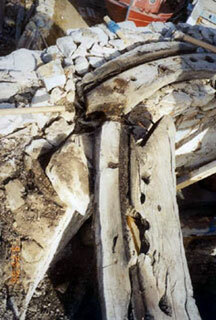 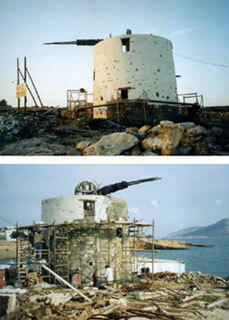 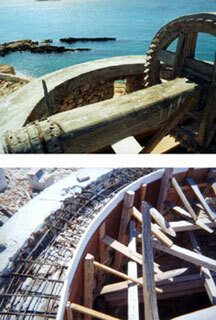 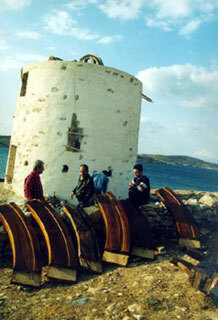 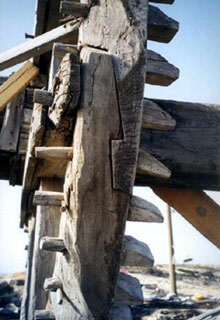 The mill is a traditional windmill like the ones often seen in the Cyclades. 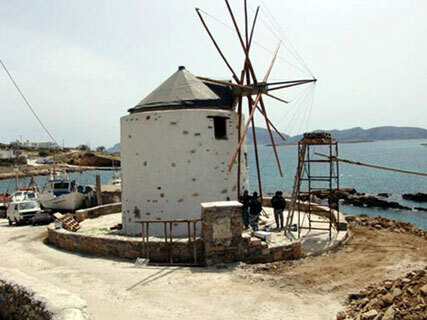 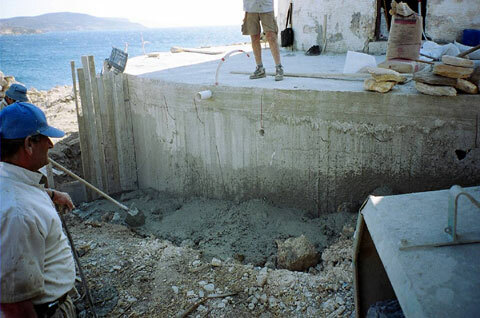 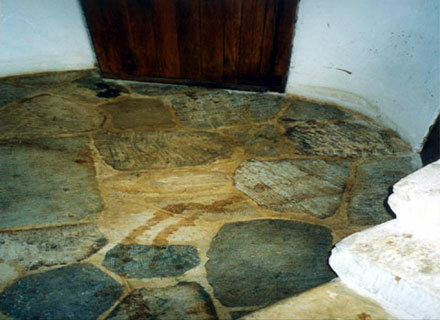 According to existing elements and testimonies the mill was built about 1830 during the period residents of Amorgos settled on the island. 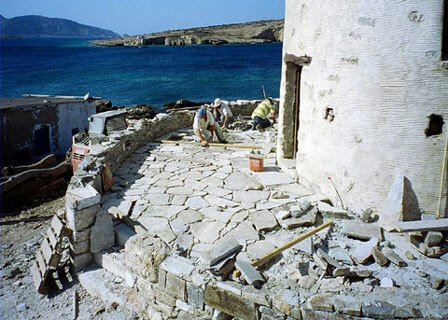 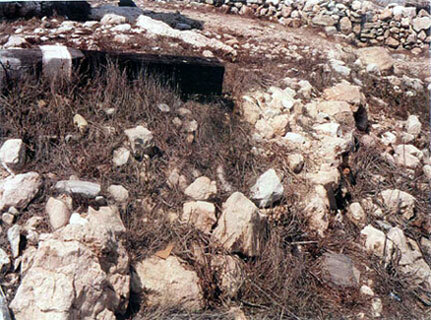 The ground area surrounding the building is 522 m2 and it abstains approximately 300m from the last house of the island settlement on the southwestern side towards the little harbor Parianos. 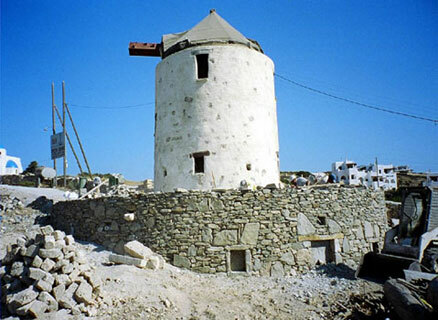 The windmill is built on the coast rocks, next to a careenage abstaining approximately 30 m from the sea and 10 m from the borderline of the crushing winter waves. 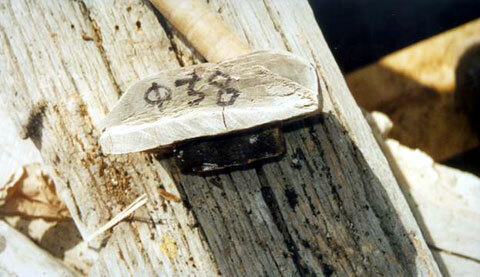 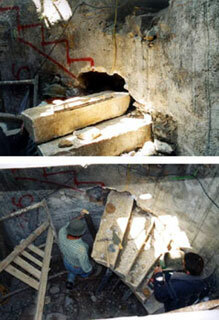 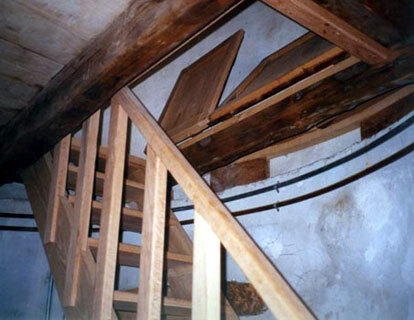 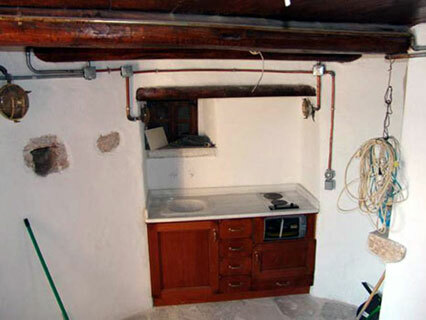 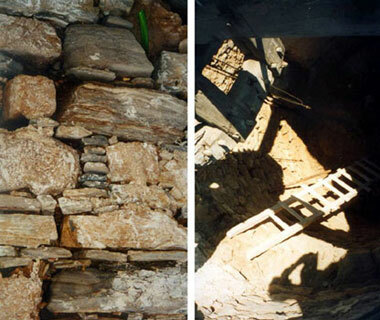 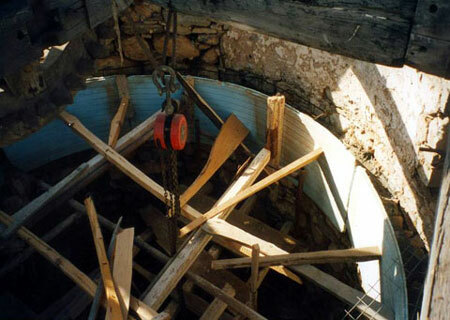 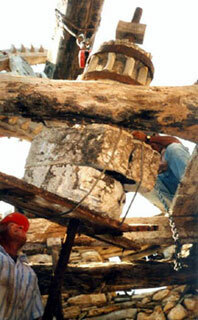 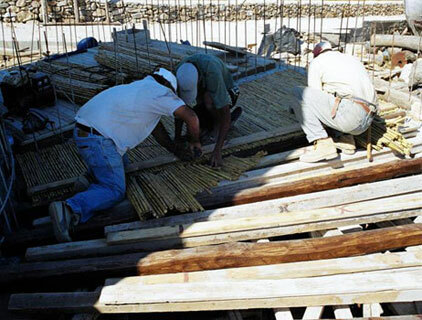 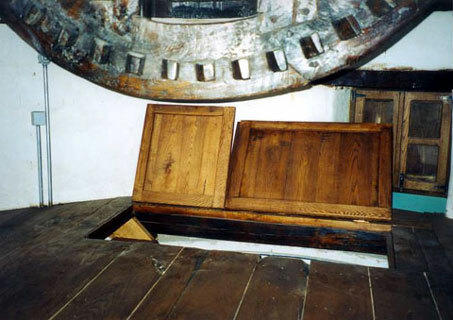 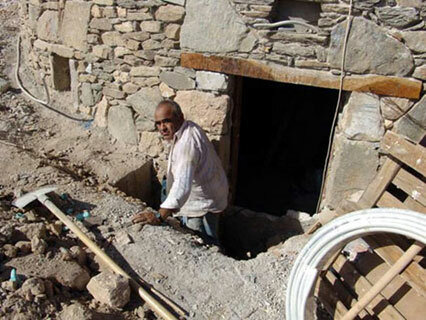 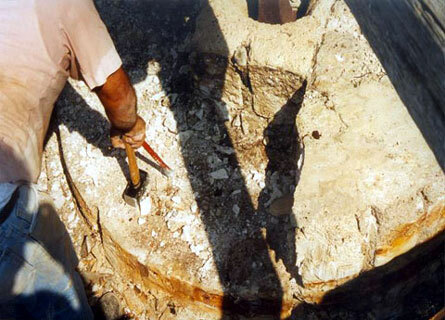 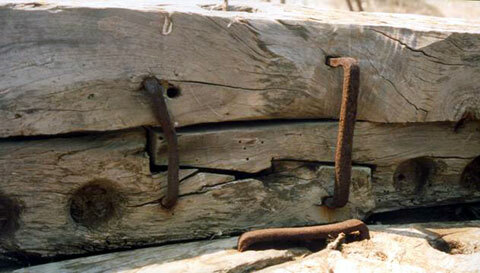 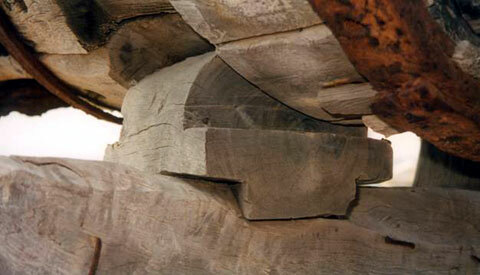 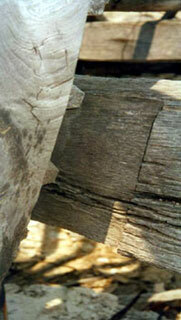 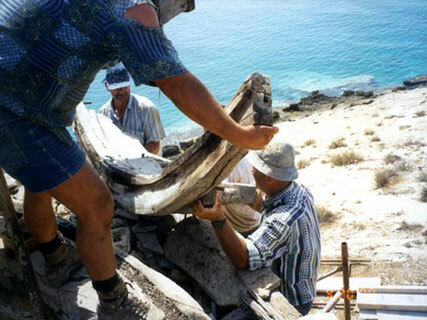 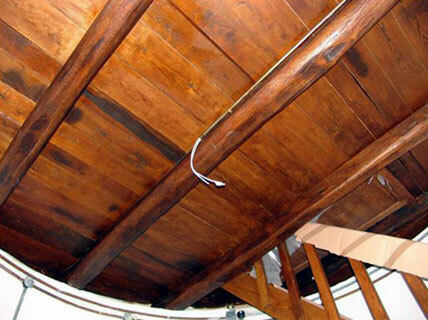 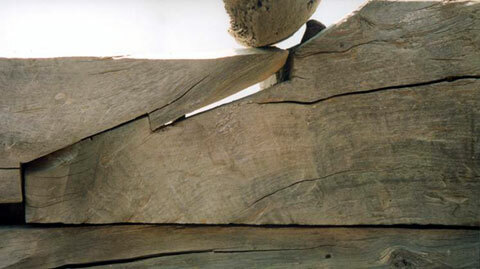 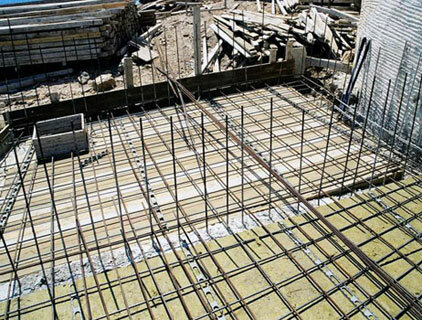 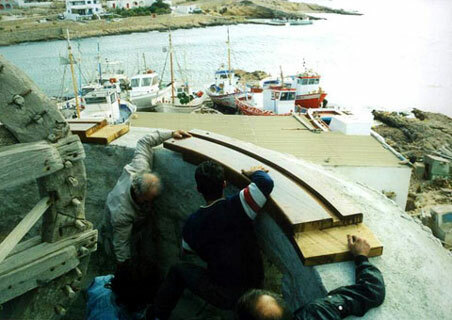 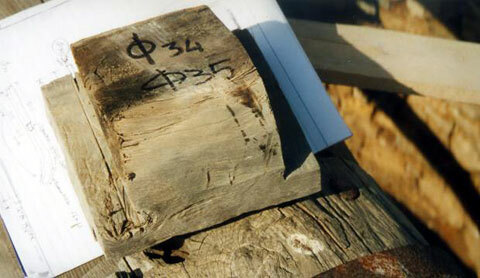 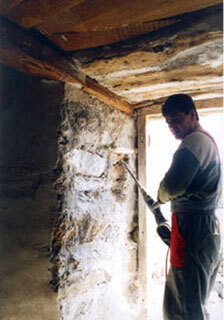 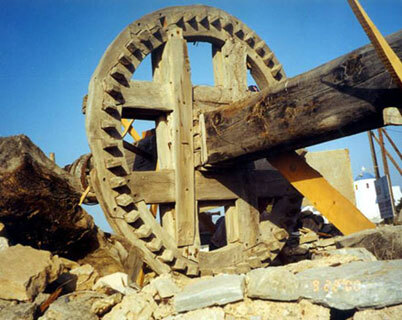 September 2000 began the repair, backing and reconstruction work as to diminish the danger and to rescue the wooden mechanism according to the approved building authorization and the approvals of the mill. 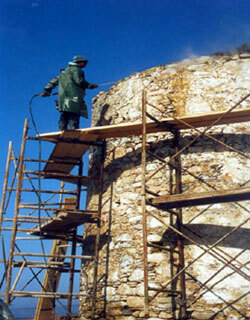 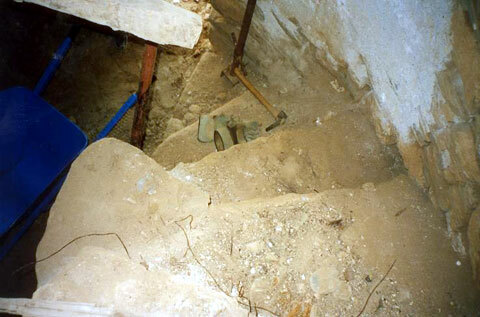 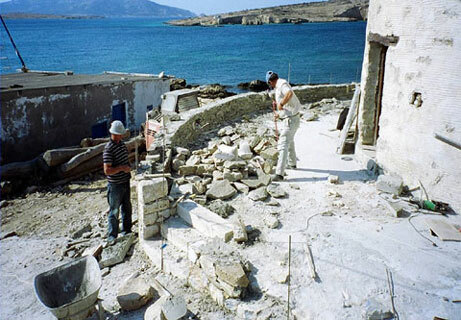 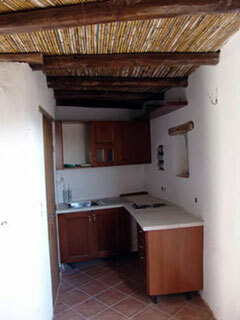 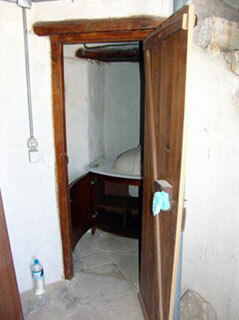 The working procedures were terminated in May 2005 thanks to the actions of the 1st conservancy for newer monuments of the Culture Ministry and the national tourism organization (EOT) and beside all the adversities the mill is since 2006 a “category A 4 bed furnished apartment” hotel called Windmill-Villa.